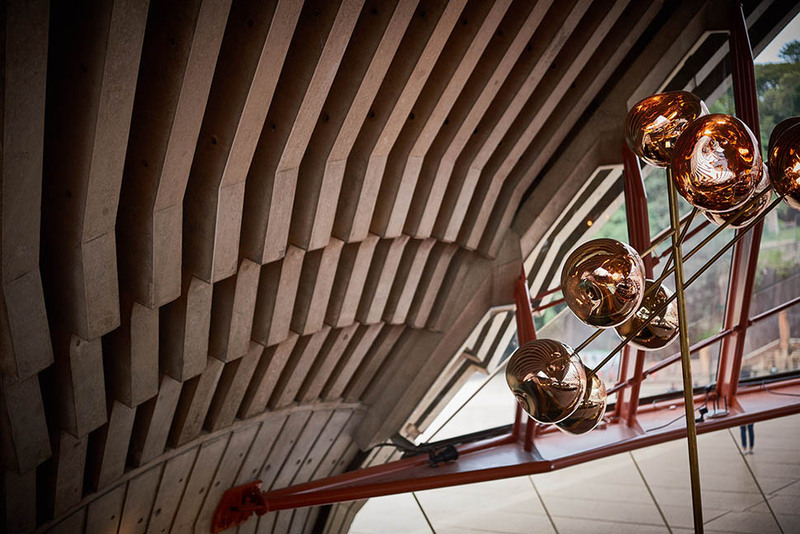 I have been photographing Jørn Utzon’s masterpiece – the Sydney Opera House – for over 20 years. 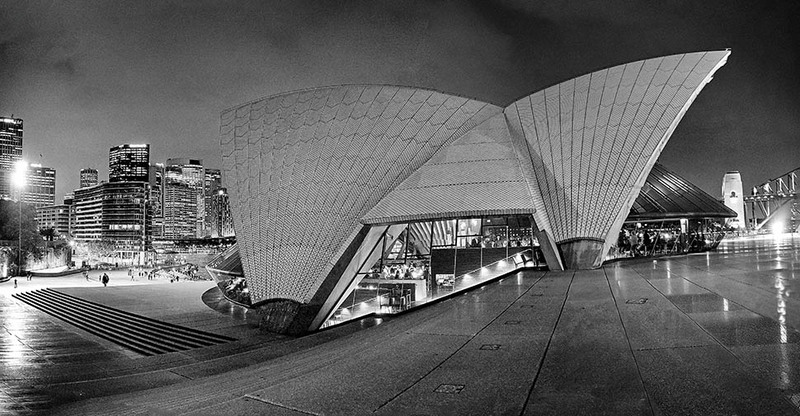 It has been not unlike a little photographic pilgrimage I go on each time I visit Sydney. 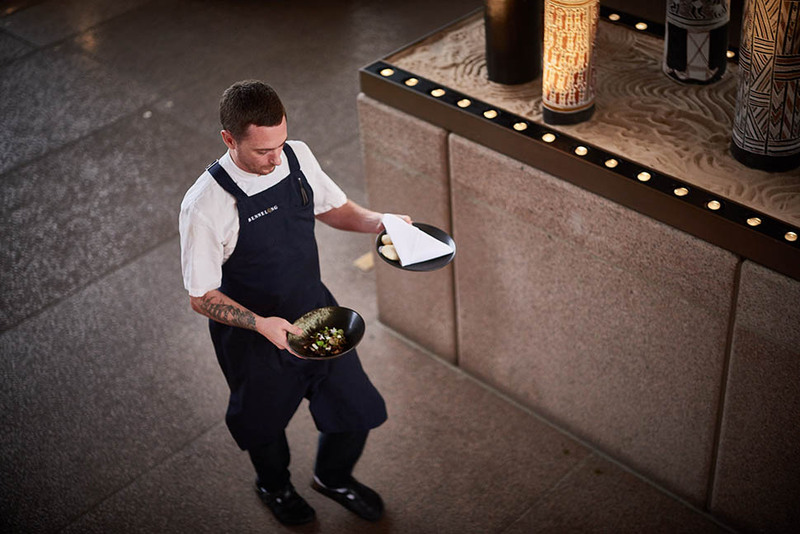 Recently I welcomed the opportunity to meet Rob Cockerill, current head chef at Bennelong Restaurant – a young chef holding his own in this sacrosanct piece of architecture situated on Circular Quay – arguable one of the most spectacular public buildings in one of the most beautiful city locations on earth. 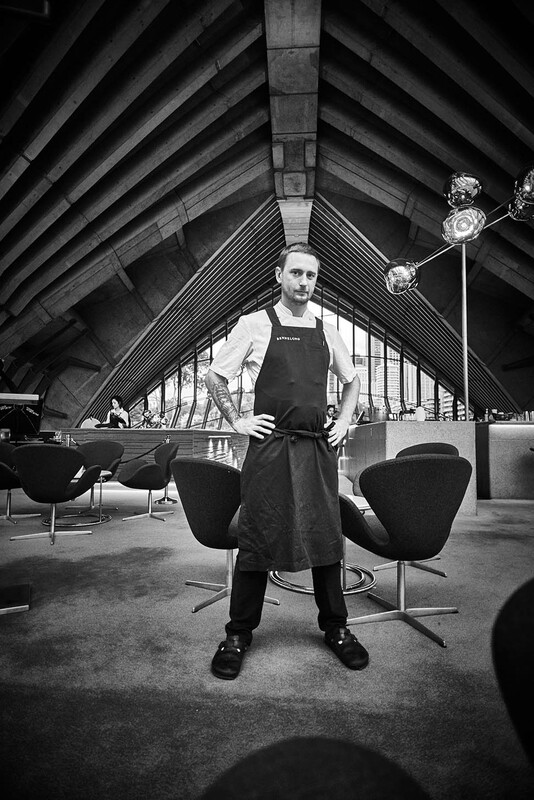 Rob has been cooking at Quay, just across the harbour, for the past seven years, and told me how privileged he feels to be cooking his food in such an architectural icon. 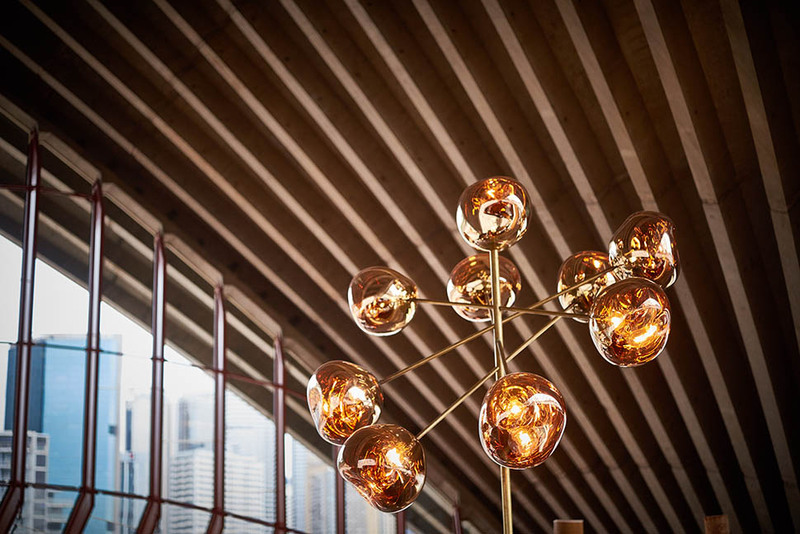 I reckon his food is at home here – both sophisticated and relaxed, rooted in the local terroir and with a solid nod to the complex mix of cultures that form modern Australia. 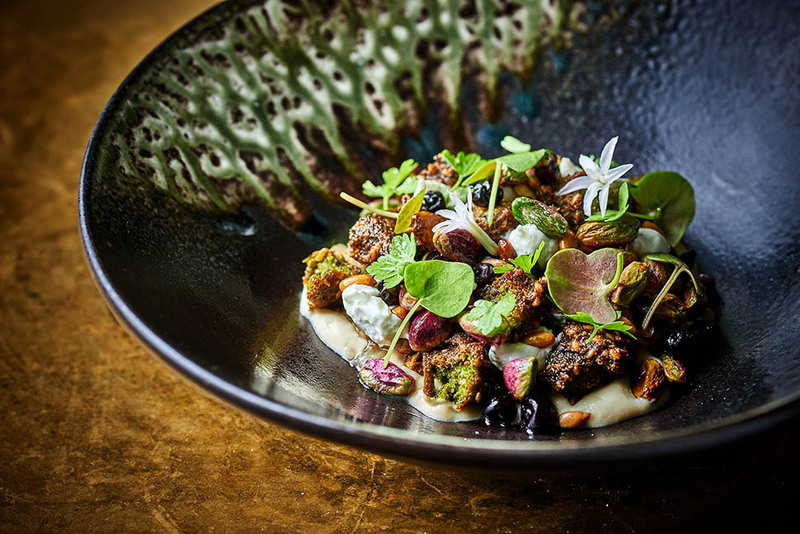 The first dish was a smoked eggplant salad with young pistachios, roasted pine nuts, sunflower kernels and currants, labneh, crisp falafel, and a few seasonal herbs (sorrel) – sitting on top of baba ghanoush and served with three pita, a really lovely little dish. Second dish was a little quail breast with macadamia rubble and some plum jam – absolutely stunning. 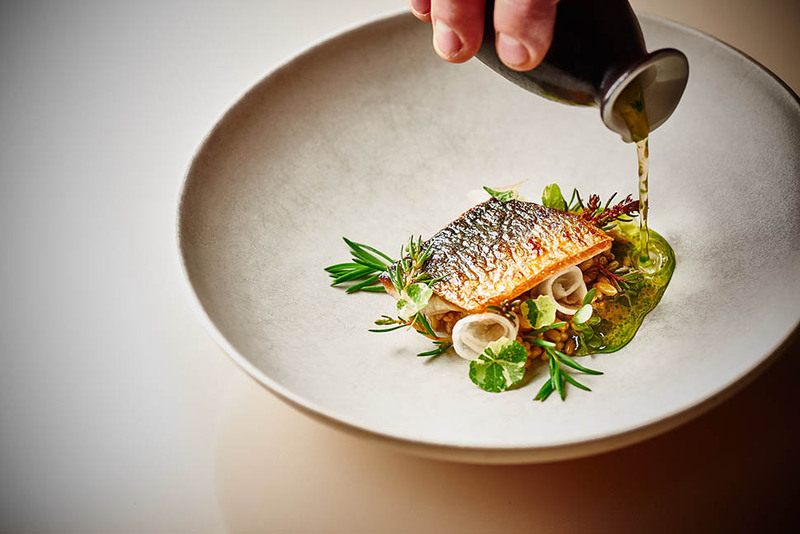 Third dish was mackerel, something a little bit special to Rob as he used to love catching mackerel as a kid. It was lovely for me to see a fish synonymous with Cornwall make an appearance in Sydney Harbour. 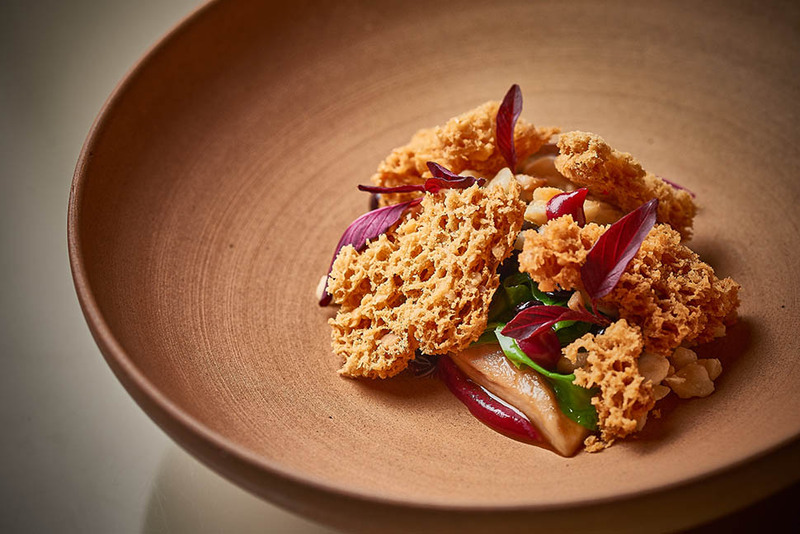 The smoked mackerel was resting on a preserved lemon puree and some young green wheat, a little crisp daikon-takuan pickle and some some sea blight and finished with a smokey rich swordfish bone marrow consommé and a few green oil spills of a fermented nasturtium leaf to give it a little bit of a zing. 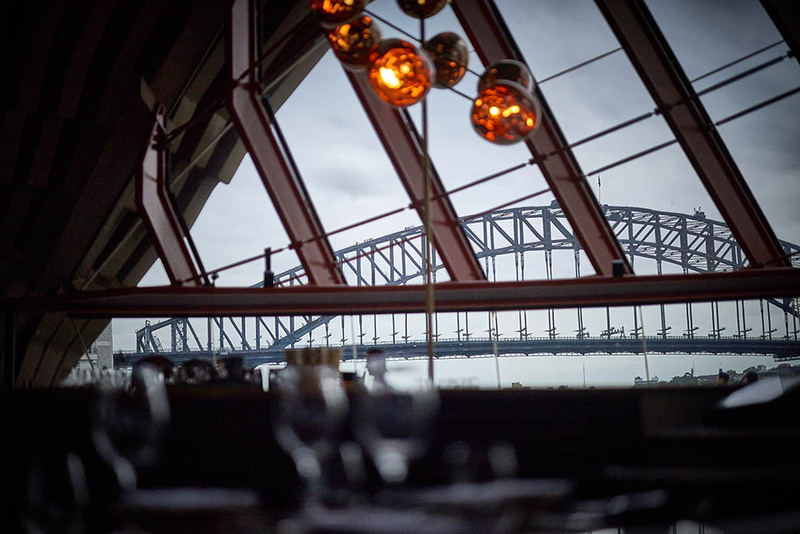 Australia on a plate in an epic location – if you get the chance, do your self a favour and book a table / flights. 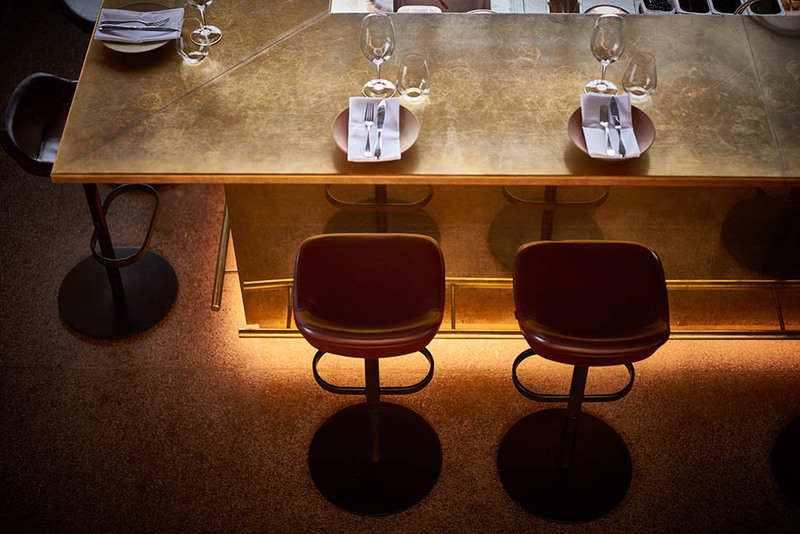 I ate here in 2002 and only today we discussed the restaurant. By chance I found a blog awards website and linked to the site. Delighted to see the photos. Have bookmarked the page and look forward to browsing. Food Photography is one of my favourite subjects and I love your shotes.